Black socks, large, 1/2 cushion ribbed crew UK size 10-13. 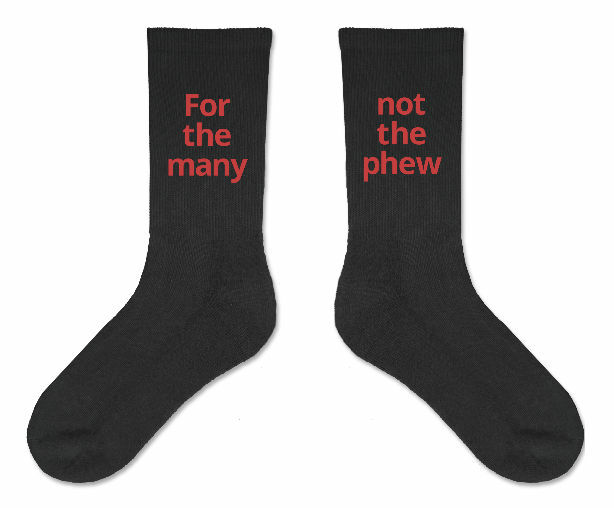 “For the many” printed on the left outside, “not the phew” on the right outside in Labour red & font. 75% cotton, 16% nylon, 7% poly, 2% spandex.